In this excellent commentary on Leviticus, Gordon Wenham takes with equal seriousness both the plain original meaning of the text and its abiding theological value. To aid in reconstructing the original meaning of the text, Wenham draws from the studies of Old Testament ritual and sacrifice that compare and contrast biblical customs with the practices of other Near Eastern cultures. He also closely examines the work of social anthropologists and expertly utilizes the methods of literary criticism to bring out the author's special interests. In pursuit of his second aim, to illumine the abiding theological value of Leviticus, Wenham has included at the end of each chapter a discussion of the relation of the Old Testament passages to the New Testament and to contemporary Christianity. In doing so, Wenham shows how pervasive Levitical ideas are not only in the New Testament but also highlights in very practical ways the enduring claim of God's call to holiness on the lives of Christians today. Plenty of important questions vie for attention in contemporary Lucan scholarship. In this NIBC volume, Craig Evans not only demonstrates a firm grasp of them, but makes them perfectly comprehensible to laypeople. His clear writing and logical explanations lay open both difficult Lucan passages and scholarly arguments about them. 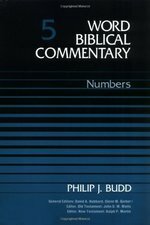 This commentary is probably the best popular-level one on Lukes gospel!The New International Biblical Commentary is an important new series which happily strikes the balance between the detailed technical commentary . . . and the popular level commentary . . . Craig Evans' volume on Luke is a model of the series. The writer is as aware of the main questions which dominate Lucan scholarship today as he is of its methods and useful findings. 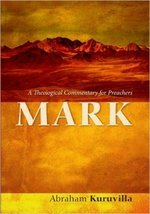 Mark: A Theological Commentary for Preachers engages hermeneutics for preaching, employing theological exegesis that enables the preacher to utilize all the narrative units of Mark to craft effective sermons. This commentary unpacks the crucial link between Scripture and application: the theology of each preaching text. The Gospel of Mark is therefore divided into twenty-five narrative units, with the theological focus of each clearly delineated. The specificity of these theological ideas for their respective texts makes possible a sequential homiletical movement through each pericope of the book, progressively developing the theological trajectory of Mark's theme of discipleship, and enabling the expositor to discover valid application for sermons. While the primary goal of the commentary is to take the preacher from text to theology, it also aids in the advance from theology to sermon by providing tips for preaching and two possible sermon outlines for each of the twenty-five units of the Gospel. 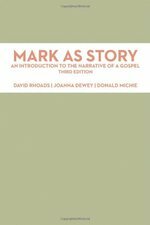 The unique approach of this work results in a theology-for-preaching commentary that promises to be useful for anyone teaching through Mark's Gospel with an emphasis on application. Mark's Gospel is fast-paced and action-packed. In this volume, Chuck unpacks both Jesus' story and how Mark wants his readers to see themselves in this story. "From beginning to end, we will see the Master preparing His disciples and then propelling them forward to encounter challenges they felt ill-prepared to meet." 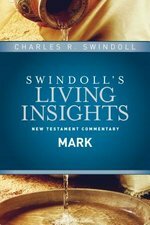 The 15-volume Swindoll's Living Insights New Testament Commentary series draws on Gold Medallion Award-winner Chuck Swindoll's 50 years of experience with studying and preaching God's Word. His deep insight, signature easygoing style, and humor bring a warmth and practical accessibility not often found in commentaries. What does the Bible have to say about work? This one-of-a-kind Bible resource answers that very question. The Theology of Work Bible Commentary is an in-depth Bible study tool put together by a group of Bible scholars and business-people. 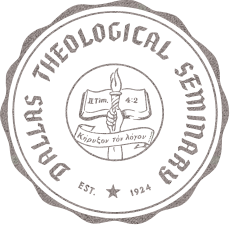 The content is from TheologyofWork.org, and has never before been in print. It reveals what the Bible says about all kinds of work and offers insight from every single book of the Bible. This first volume of the multi-volume series covers Matthew through Acts, and other volumes should be expected in 2015. Pastors will find these volumes helpful as they consider the Bible's perspective on work when teaching on particular passages or topics. Professors may use the commentary to help prepare classes or as a textbook for students. Laypeople may find practical help for workplace decisions, or they may read it as part of their personal or group Bible study. The Theology of Work Project is an independent, international organization dedicated to researching, writing, and distributing materials with a biblical perspective on work. Its mission is to help people explore what the Christian faith can contribute to ordinary work, and it is developing resources for the most significant topics in today's workplace, such as calling, ethics, truth and deception, motivation, compensation, and more. Books created by the Theology of Work Project include the "Bible and Your Work Study Series," and the "Theology of Work Bible Commentaries." From this outline it becomes apparent that the book of Numbers accounts for that period of Israelite history known as the “wilderness wanderings,” which begins with the flight from Egypt and closes with the Israelites’ successful entry into the Promised Land. Here are explanations of the origins of Levitical priesthood, of Israel’s holy feasts, of the sobering results of rebellion against God, of the minutiae of the law, and of the blessings promised those who, like Caleb and Joshua, can “spy out the land,” assess its giants, and still live by faith. Dr. Budd’s treatment gives due respect to the present canonical state of the text, while inquiring also into the forms in which much of this material must have been originally cast. His comments provide authoritative illumination of this important period in Old Testament history. Theological and Canonical Significance, providing a theological and applicational discussion of the main thrust of the passage, synthesizing the theology of the passage and elaborating on it.